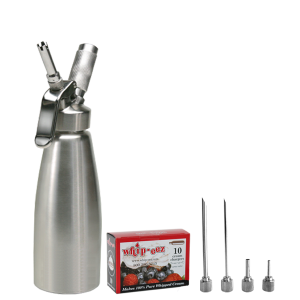 Stainless Steel Whipped Cream Dispenser. 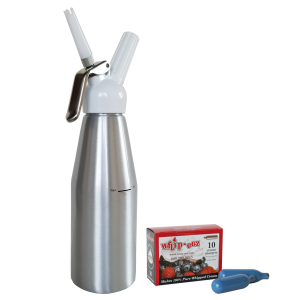 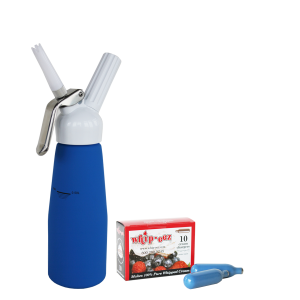 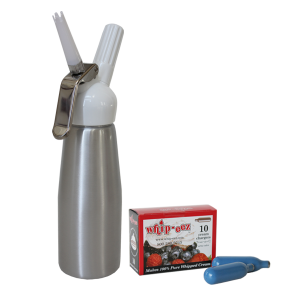 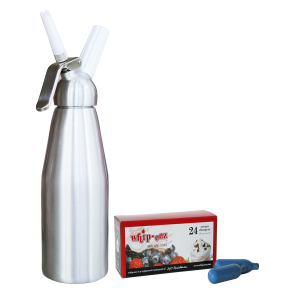 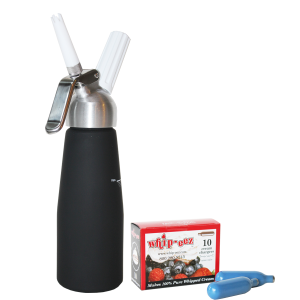 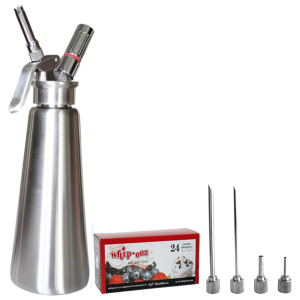 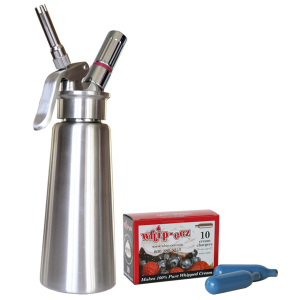 This Whip-eez whipping siphon comes with a stainless steel charger holder, pressure valve stick and (3) three Stainless Steel decorating tips for making beautiful whipped cream. 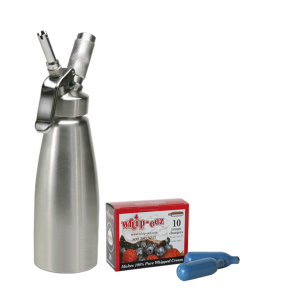 Total height of this dispenser is 12 5/8″ NOT including decorating tip. 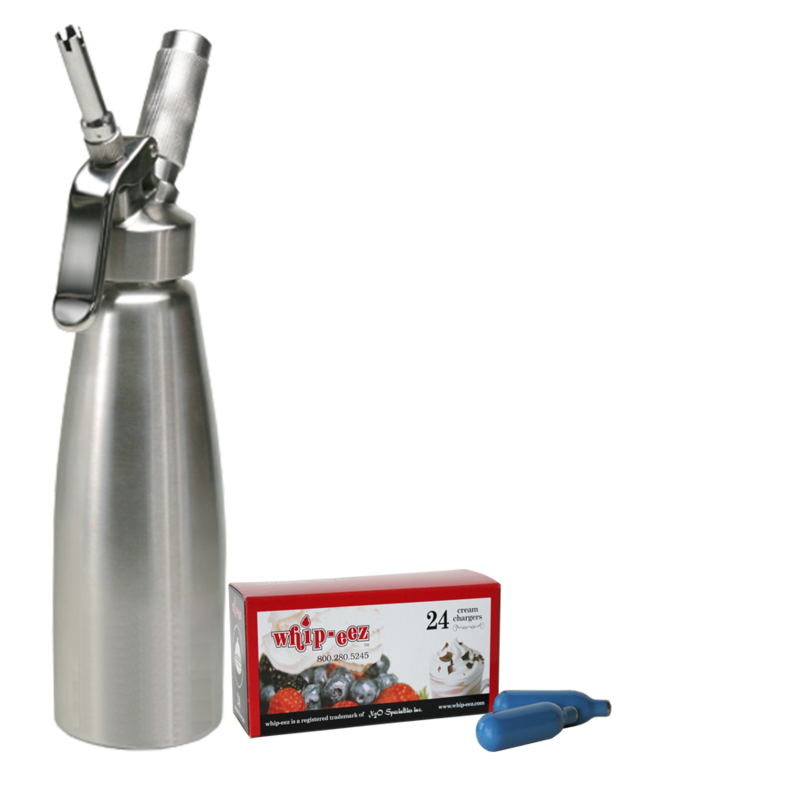 With this Whip-eez 1 liter stainless steel cream whipper you can prepare both cold and warm ingredients such as whipped cream, sauces, mousses and all those light and espuma (foam) delights. 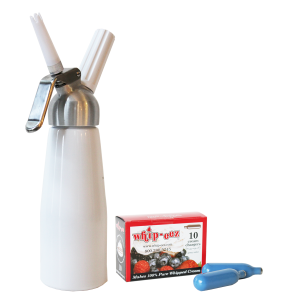 With Whip-eez Professional Cream Whippers you can prepare both cold and warm ingredients such as whipped cream, sauces, mousses and all those light and espuma (foam) delights.